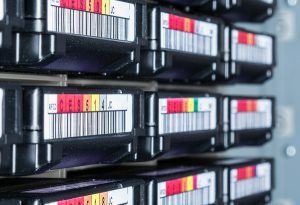 Microfilm, microfiche, and backup tape may no longer be the standard for data storage today, but were one of the most reliable and widely used methods of data storage in the past. With the growing advancement of technology, these mediums are hardly in use but still serve a purpose as many institutions have their older files, documents and other data preserved in this form. Record Nations can help find a local storage provider for your microfilm, microfiche, and backup tape for safekeeping until you need them. For free quotes, give us a call at (866) 385-3706. 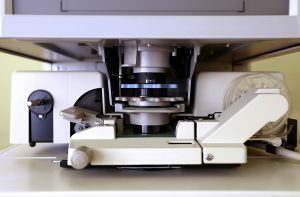 When properly stored, microfilm and microfiche can accurately store data with a shelf life of about 500 years. Record Nations works with local providers nationwide that have the expertise in managing your storage needs with specially-designed facilities that are climate controlled and under constant surveillance. Maintaining an environment to keep your microfilm and microfiche can be painstaking work. Let the professionals handle your physical offsite storage for you! Much like the process involved in storing microfilm/microfiche, specially-designed offsite facilities are available to store your backup tape in secure and climate-controlled environments. With optimal conditions in place, your backup data is set to be preserved as safely as possible. Record Nations is partnered with local offsite storage services with years of experience in handling microfilm, microfiche, and tape storage solutions. We work to find the most appropriate services for your organization with free quotes to choose from. To get started, fill out the form on the right or give us a call at (866) 385-3706.